Have you ever heard of the story of someone whom you know whose mom or sister actually lost their wedding ring while doing the laundry in the bathroom? Of course, we are talking about having some good old fashioned hand wash moments here, and to have a ring literally go down the drain, now that is a sad thought. Of course, it would make sense if one were to remove the ring before performing any hand wash sessions, or you could always get the $9.99 Ring Drain Stopper. 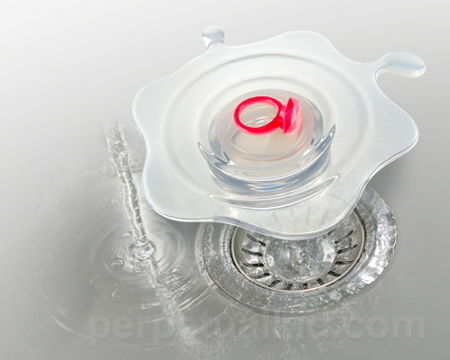 This is a unique drain stopper, as the red ring functions as a flashy reminder so that you will be able to remove your actual ring before getting to work, washing the dishes, etc.